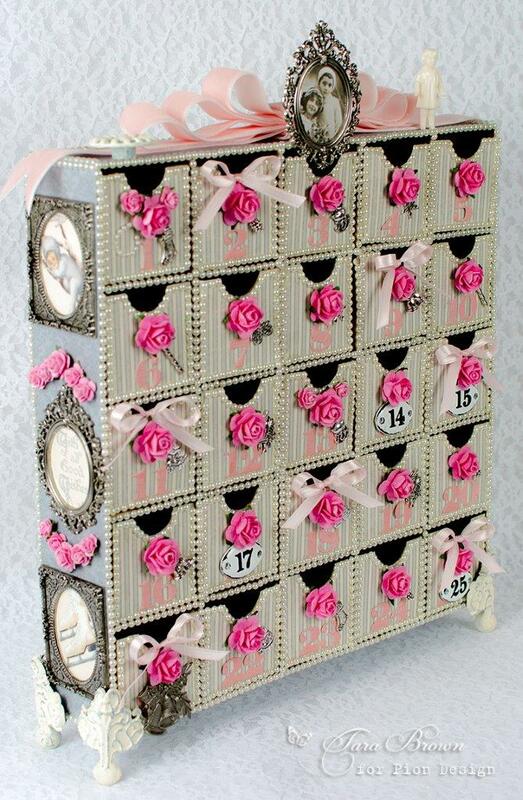 This Advent Chest was made using the blues of Greetings From the North Pole and pink from Pion Design Palette. Little silver charms are attached to the drawers and they’re ready to be stuffed with Christmas treasures. WAUW You´ve just done it again Tara, this is sooo sooo beautiful and sooo elegant, and which kid (or adult) wouldn´t just love to open this every morning to find a little treat in these drawers? It is sooo sooo beautiful and sooo perfect made, and it shows sooo much beauty and elegance, that I can´t help it but smiling.